The vent free gas logs from Monessen offer the realistic look of a wood fire but without the hassle. Available in a variety of styles, the flexibility of the vent free gas logs from Monessen means that you can install them in any existing firebox without the need for venting - making them a terrific choice for just about any room in your home. A safe and simple alternative to vented fireplace solutions, vent-free gas logs from Monessen give you the opportunity to include the ambiance and warmth of fire with the ease of flexible installation. Ceramic Fiber log sets are constructed to be lighter and more porous then their refractory counterparts. The ceramic fibers allow for heat to penetrate the logs, giving them a realistic glow and allowing the log set to capture and radiate heat. 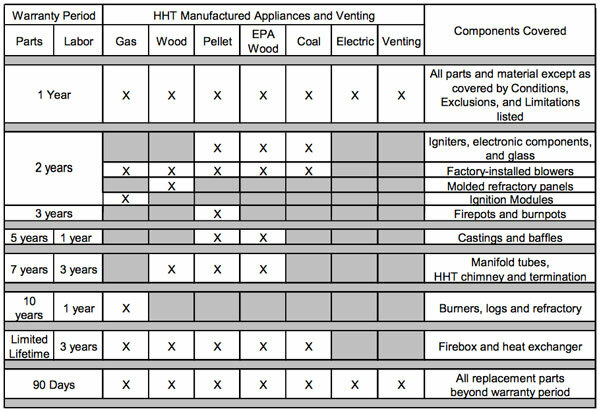 Currently, the state of California does not permit the use of vent-free gas appliances. Massachusetts requires the board of State Examiners of Plumbers approval prior to installation. Local codes do vary, we recommend checking your local regulations.